Polished Ammonite Fossil from Madagascar. 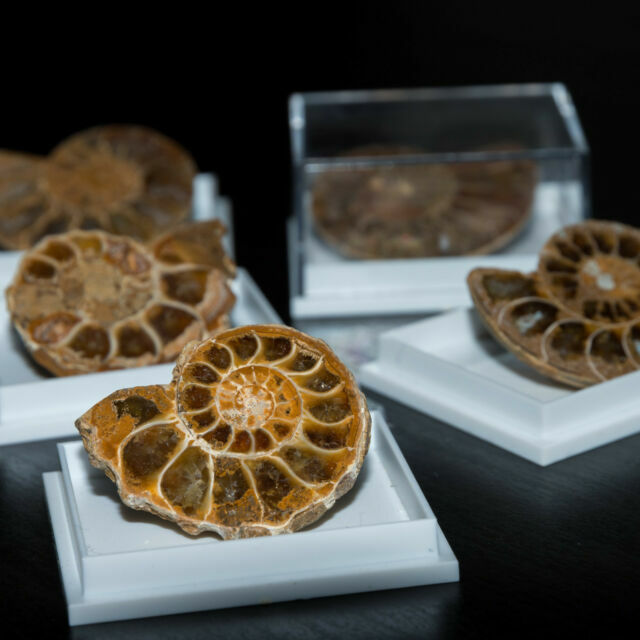 Polished ammonite fossil in display box size 40x35x21mm. Perfect for display and a gift. Ammonites belong to a group of predators known as cephalopods, which includes their living relatives the octopus, squid, cuttlefish and nautilus. Looks nothing like the picture, really disappointed. Plastic case has a big scratch on the top and the fossil is small and low quality. Not quite the gift I was hoping for.